TL; DR: In 2004, Michael Leaver, along with partners Mike De Sousa and Richard Gascoigne, founded 2BrightSparks with their flagship product SyncBack. The software offers comprehensive data protection, allowing users to seamlessly back up, synchronize, and restore data files. Michael and his team have tailored their backup and recovery solutions to focus on flexibility, which is why so many organizations around the world employ it to safeguard mission-critical business intel. Michael told us how SyncBack can be customized to prioritize backup processes — addressing the challenge of balancing data protection with system performance. Offering tools to be used individually or concurrently, Michael and the 2BrightSparks team aim to further disrupt the space with continued improvements to their data backup solutions in 2017. It was the early 1990s and Michael Leaver had freshly graduated from Coventry University. Winner of the British Computer Society Prize for his final year project, Michael was ripe for a promising career in development. However, surveying the landscape for employment opportunities in the UK, he found the job market to be very slim for new graduates. So he did what any other 20-something would do in that situation — sell all his belongings and move to Hong Kong to start coding professionally. 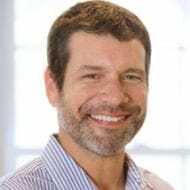 Years later, after successful stints at a number of international and start-up companies, Michael found himself in Singapore writing resource management software for hospitals. He found his work was stacking up and quickly realized he was going to need to back up his files. At the time, however, Michael found no suitable solution. Michael made the software available for download on his website, asking for small donations to keep the site up and running. As it happened, the first person to contribute to the cause ended up co-founding 2BrightSparks with him. Michael Leaver and his partners founded 2BrightSparks with the development of their SyncBack software. Soon after, a US expat living in Singapore, Richard Gascoigne, made a donation and met with Michael to discuss the software. When he heard how popular SyncBack had become, Richard convinced Michael and Mike to register 2BrightSparks as a real business, and, in 2004, 2BrightSparks became a private limited company with the three of them as directors. Over the years, SyncBack continued to evolve and improve. Today, the software offers a complete synchronization and backup solution with one important differentiator — it’s flexible. This results in software that’s more complex to use and understand, Michael noted. However, users are able to tailor the features to their needs and make the software work exactly the way they want it to. Because of SyncBack’s flexibility, the software lends itself to a wide array of user types. SyncBackSE provides home users the ability to easily back up or synchronize their data to local or external drives, over a network, and through FTP. The professional grade version of the software, SyncBackPro, is being employed by mission critical organizations throughout the world, including law enforcement agencies, hospitals, and government departments. The pro version provides businesses and organizations a robust backup solution with numerous features such as integration with the SyncBack Management Service, cloud support, scripting support, and auto drive failure detection, among many others. 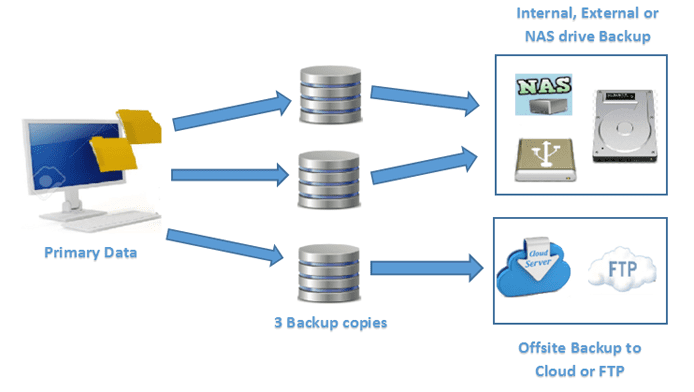 With SyncBackPro, multiple backup file copies can be saved in different locations to ensure complete protection. Michael noted the software’s SmartSync system works by keeping a record of all the previous states of a file. When a profile is run, SyncBack scans the files and compares them with their previous states. It can then decide what the best action should be. Versioning is also available, which allows users to retain old versions of files in the event they need to access an older copy of the content. As most in the IT community know, many backup software solutions toe the line between providing complete coverage and maintaining optimal performance levels. 2BrightSparks’s software was built to work around this problem. Michael told us it’s possible to configure the software so the Windows file cache isn’t used when copying large files. Settings can be adjusted to toggle bandwidth to prevent network overloads, and priorities can be set on the backup process so it doesn’t overwhelm the system. Always aiming for improvement, 2BrightSparks will be releasing a new version of the software with increased FTP and cloud performance by reducing the time it takes to scan for changes to files. All IT professionals are concerned with losing files and keeping them safe from malware. 2BrightSparks offers the ability to combine solutions to create a fully protected environment. Michael noted having a backup is the only real answer to being infected with malware. However, 2BrightSparks has recently collaborated with Emsisoft to provide a free one-year subscription to their anti-malware software for SyncBackPro users. The same goes for a cloud system, Michael told us. Even though certain cloud services keep old, uninfected versions of files, the restore process is usually complex and time-consuming. SyncBack can be paired with multiple solutions, such as Touch and Emsisoft, for total data coverage. SyncBackPro is able to back up to and from most cloud services without requiring their client software. This way, malware can’t reach backup files. And, with versioning, users can easily retrieve a copy of an uninfected file in the event of a malware breach. Stacking 2BrightSparks’s solutions together ensures the integrity of user data. Their SyncBack Touch tool can be installed on Windows, MacOS, and Android. Touch can then be used with SyncBackPro and SyncBackSE to synchronize files with devices on which the software is installed. FTP support is included in every version of SyncBack, which provides another layer of protection for backup files. With the next iteration of the software, 2BrightSparks will further its effectiveness against threats. A lot has changed since Michael sold everything he had and moved to Southeast Asia. The successful company he started with Mike and Richard has grown exponentially. Though Mike and Richard have recently retired, there are no plans to halt the company’s evolution. 2016 had their team working vigorously toward the next version of SyncBack, which will include numerous features and updates. It has required a lot of work, as Michael noted, but the 2BrightSparks team’s commitment to continuously improve and innovate made it seem effortless. Though Michael may be the last of the Founders still at the company and has taken on Mike’s and Richard’s roles, he’s still excited to spend most of his time working with his team and focusing on the core SyncBack code.